There’s little wonder that the humble mirror ball is still a classic and enduring centerpiece effect. From ballrooms to high tech raves the mirror ball is still as popular today as it was 100 years ago (yes, you read right). So whether you buy them or hire them, here are a few ideas on how to make your setup an amazing one! 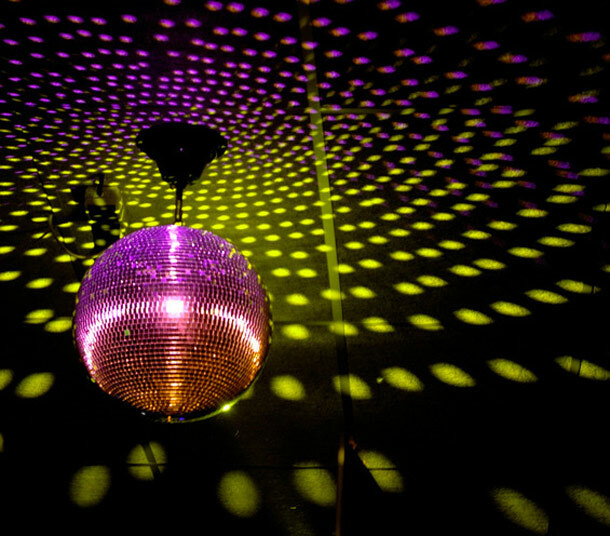 Focused light is directed at the slowly rotating mirror ball. Typically a pin spot is used as a light source but any focused beam can do the job. The cluster of tiny mirrors affixed to the ball reflects back the light, sending pointy beams to every corner of a room. 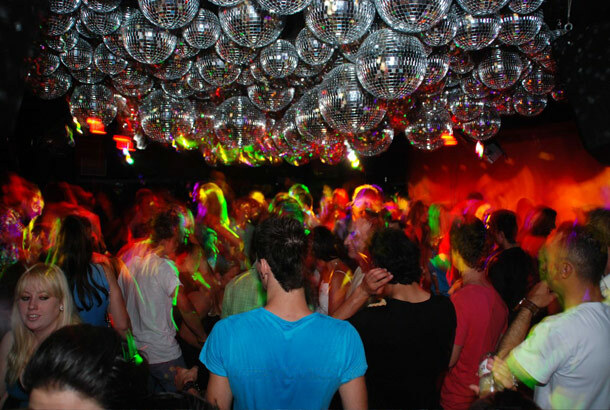 Usually the mirror ball is hung in in the middle of a venue or in the centre of the dance floor. That way the beams are sent out 360 degrees for the optimum effect. Tie the motor to a central hanging point, attach the mirror ball to the motor, then set up the pin spots at a convenient distance and aim at the mirror ball. You can use in a corner if lacking space and a lighting stand is an option to hang from if needed with one pinspot pointing at it. 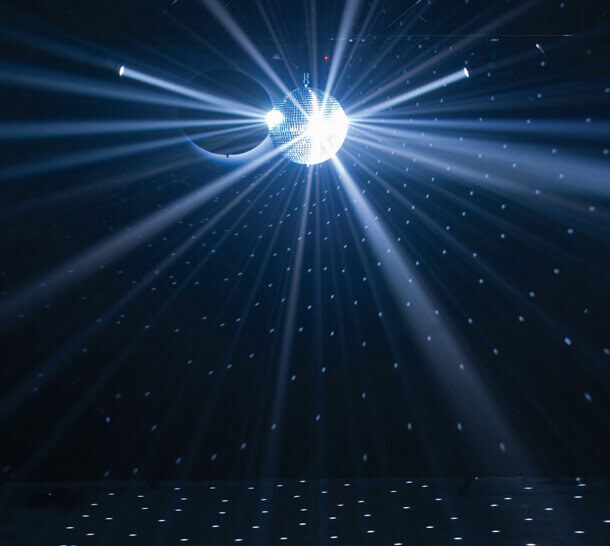 A common mistake that is made is to point a wash light at the mirrorball like a parcan or a common colour changer. The problem with that is that the light ‘spills out’ around the ball and the light reflected does not end up being as bright as it needs to be, so the more focused the light, the better. Also, some of the new small LED colourchanger physically look like the old-style pinspots but are not ideal to use with mirrorballs as they lack the focused beam necessary to get the best reflection effect. You can try placing 2 or more pinspots from different angles to get the best look. Usually placing one pinspot either side of the mirrorball looks pretty good. Try using different coloured gels over the pin spots. You can even use colour projector lights ormoving heads for bigger mirror balls, larger rooms and higher energy light shows. Lasers look amazing firing off a mirror ball especially with some of the awesome new colours available these days like pinks, blues and purples. Mirror ball clusters are groups of mirror balls that resemble planets in some ‘disco galaxy’ far, far away. In reality they are quite simple to set up and look the bomb. Usually a larger ball takes centre stage with smaller balls surrounding with different sizes, heights and rotation speeds. The effect is quite spectacular and best of all affordable to achieve. One mirror ball cluster and some ambient lighting would make any high-class nightspot proud. • When using balls above 20” you need a larger ‘load-rated’ motor. • Motors come with different rotation speeds, 2rpm being the most popular. • If using a cluster, experiment with faster and slower motors for a dynamic and enthralling effect. The mirror ball was reportedly used in entertainment venues as far back as 1897!